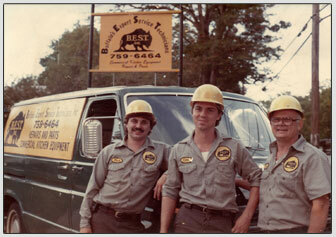 OUR HISTORY - Buffalo’s Expert Service Technicians Inc.
Buffalo’s Expert Service Technicians, also known as B.E.S.T. Inc., began in March of 1984. Two young but experienced equipment service technicians, Carl Batt and Chuck Kotarski, joined forces with Richard Suchan, an experienced and successful businessman, to form what is now known as Western New York’s servicer of choice. Starting with a single truck, borrowed space, and no accounts, B.E.S.T. began to grow. Standing behind their commitment of providing the highest possible quality of service and parts at a fair price, they became a partner with their customers in maintaining their kitchen equipment to its peak performance levels. Through positive referrals, they have expanded to Rochester and acquired a client base of over 5,000 customers. Today, over 25 years later, the company owns a 5300 square foot building with office, shop, and parts showroom with inventory over half a million dollars. B.E.S.T. never closes, offering 24 hour emergency service, preventive maintenance and service contracts, manufacturer warranty work, and part sales. Their factory-trained technicians work with state of the art testing instruments and work hand in hand with the industries top manufacturers. They pride themselves on years of in field experience, and work with customers to provide service on obsolete equipment and tracking down hard to find parts. 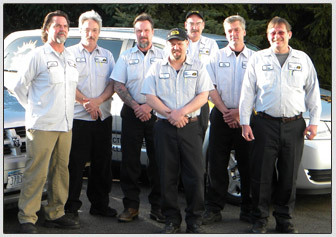 With a fleet of fully stocked trucks complimented by certified technicians they understand the importance of first time fixes. 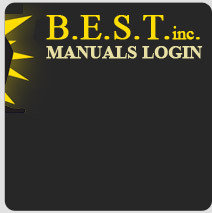 Remember, as always, when time counts count on B.E.S.T. © 2010 - Buffalo’s Expert Service Technicians Inc.